The team at Himalayan Single Track is super excited to launch, on behalf of Ladies Mountain League the Ladies Mountain Bike Library. What is it? 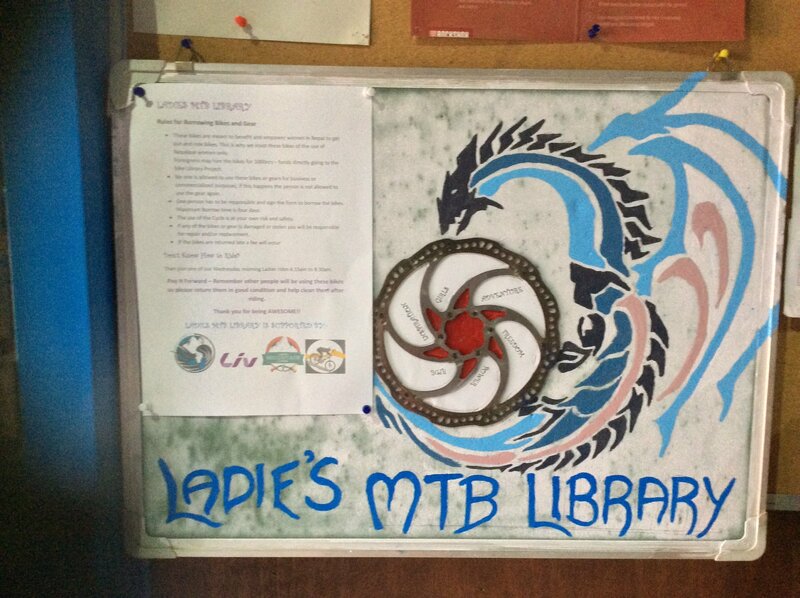 First of all, it is a Library where Ladies can come and borrow a mountain bike for a day or two for the purpose of riding with friends, a weekend away, joining a rally or a race. In addition, we are offering skills clinics and weekly learning sessions which are supervised by our team. Most of all we want to encourage more women in Nepal to ride Bikes. How Does it Work? The bikes being used, have been donated to us which means we are able to let them out for free. To learn more or book a bike, give our team a call – 014700909 and our staff will help you to meake a booking. Bookings are subject to availability. These bikes are meant to benefit and empower women in Nepal to get out and ride. This is why we insist these bikes are for Nepalese women only.Foreigners may hire the bikes for 1500nrs – funds directly going to the bike Library Project. 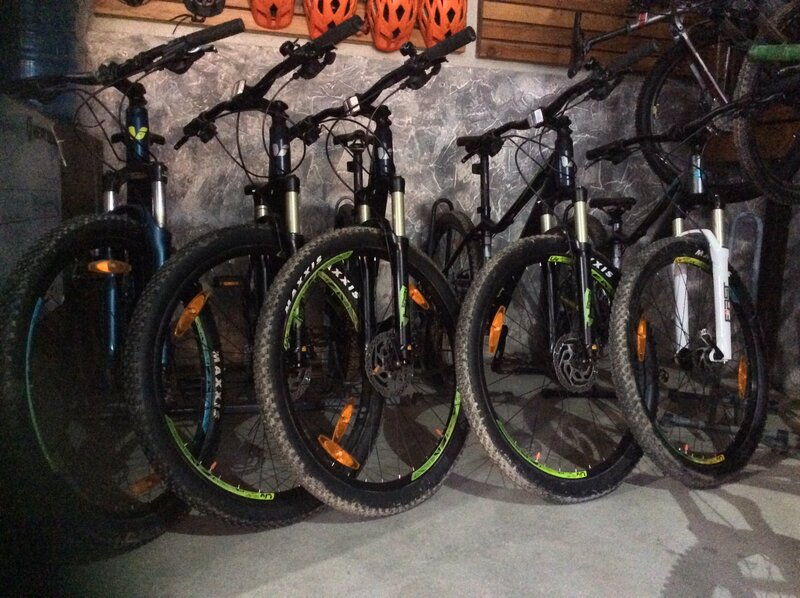 No one is allowed to use these bikes or gears for business or commercialized purposes, if this happens the person is not allowed to use the gear again. One person has to be responsible and sign the form to borrow the bikes. Maximum Borrow time is four days. The use of the Cycle is at your own risk and safety. If any of the bikes or gear is damaged or stolen you will be responsible for repair and/or replacement. What if yon Don’t Know How to Ride? No worries! Usha, Roja, Jenny and Kripa are here to help you! Usha and Roja are both trained mountain bike leaders working with us and will be among Nepal’s first. We will be leading weekly rides and monthly skills clinics to give you the confidence to ride. We will be leading weekly rides of different skill levels to help you out. As the girls who already ride will tell you, mountain biking has opened up doors for them in sports, tourism careers and also helped them gain some kind of Independence and freedom. We don’t expect all the girls to follow in their footsteps but what we do want is to see the smile of pure joy on the faces of young and old women alike who never dreamed they could ride bikes. We are helping them to break down gender boundaries and cultural boundaries, helping them to feel the wind in the their faces and the mud under their wheels! It might only be for a few hours a week, but we can give them freedom. Mountain Biking also helps women build up their self confidence. 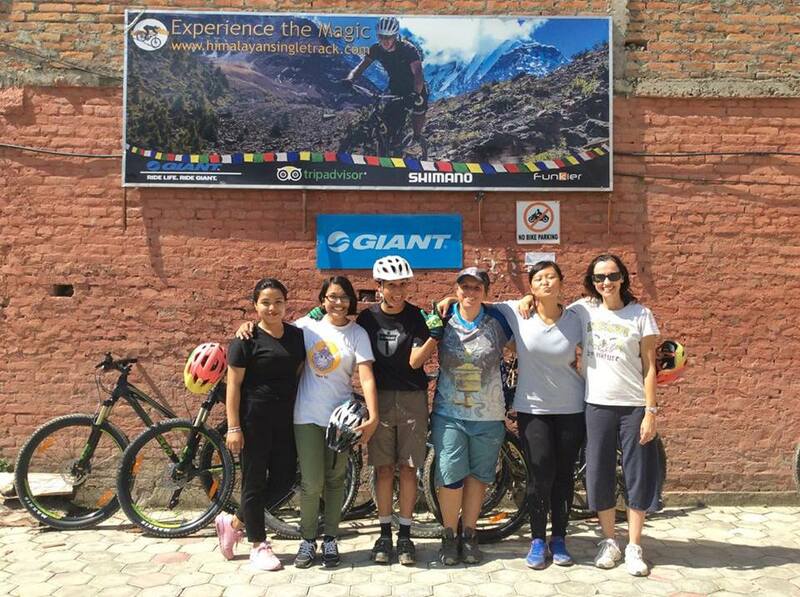 You can read more about how Himalayan Single Track is working to develop women in mountain biking in Nepal Here. Make a donation to Ladies Mountain Leauge to help maintain the bikes, add new bikes or gear. Donate a bike, a helmet or anything useful to cycling (Small sizes are preferred).